Femoroacetabular Impingement is a classified by an abutment of the femor and the acetabular rim. With this disorder, there is often repeated stress being put on the acetabular labrum or the adjacent cartilage. The positions where soft tissue is at the greatest risk involves hip flexion, adduction, and internal rotation. For more information on characteristics of this disorder see the main morphopedics page for FAI. - Increase symptoms with hip flexion, adduction, and internal rotation. Independent self-management of pain, posture, joint protection. These are interventions that should be considered for the specific diagnosis of FAI. See information below for more information. 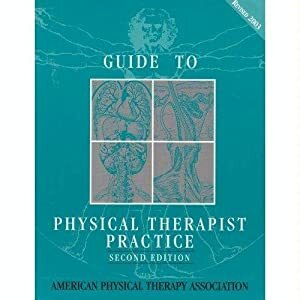 The following modalities are suggested by the Guide to Physical Therapy for this practice pattern. - For most severe impingements, surgery is the best option. To learn more about about the surgery check out the following sites. - Analgesics are also used to help address the pain associated with FAI. - TENS along with appropriate conservative treatment which is listed below maybe helpful in decreasing pain. Surgical treatment of AFI has been extremely effective. Research shows that the majority of athletes are able to return to their designated sport at a competitive level within 1.6 years. It is important to recognize that the surgery should be followed by a rehabilitation treatment. The following guidelines should be implemented. For more information on post surgical treatment see the following site. The goal of stretching should be to increase the area between the neck of the femor and the acetabular rim. The goal of strengthening should be to help posteriorly tilt the pelvis to increase the area between the femor and the acetabular rim. These activities should be addressed in patient education on how to help avoid positions of pain. - end range stretching into flexion, adduction, and internal rotation. Education is one of the most important aspects of treatment when for patients who have an FAI. They must be aware of what activities and actions make their condition worse especially if they are not going to have it surgically repaired. There is no evidence that says Physical Therapy can reverse effects of FAI. There is some research that says PT can be used in combination with anti-inflammatory drugs to reduce hip pain and to avoid further cartilage damage. It is important that the patient is made aware that this issue can only be solved with surgery. Not all patients are a candidate for the surgery. Those, who have a mild impingement or are not a candidate for the surgery, should be taught to modify their activities of daily living to avoid further damage to the soft tissue. 1. Emara K, Samir W, Motasem E, & Gharfar K. Conservative treatment for mild femoroacetabular impingement. J of Ortho Surg. 2011; 19(1): 41-45. 2. Philippon M, Schenker M, Briggs K, & Kuppersmith D. Femoroacetabular impingement in 45 athletes: associated pathologies and return to sport following arthroscopic decompression. Knee Surg Sports Traumatol Arthrosc. 2007; 15(7): 908-914. 3. Clohisy J, & McClure J. Treatment of anterior femoroacetabular impingement with combined hip arthroscopy and limited anterior decompression.Iowa Orthop J. 2005; 25:164-171. 4. Philippon M, Briggs K, Yen Y, & Kuppersmith D. Outcomes following hip arthroscopy for femoroacetabular impingement with associated chondrolabral dysfunction: A minimum 2 year follow up. J Bone Joint Surg. 2009; 91(B):16-23. 5. O'Kane J. Anterior hip pain. Am Fam Physician. 1999; 60(6):1687-1696. 6. Jones I, & Johnson M. Transcutaneous electrical nerve stimulation. Contin Educ Anaesth Crit Care Pain. 2009; 9(4): 130-135. 7. Beck M, Kalhor M, & Leunig M. Hip morphology influences the pattern of damage to the acetabular cartilage. J Bone Joint Surg. 2005; 87:1012-18.